David Gantar, Mark Geiger and Jair Marrufo are three of a total 18 referees who will represent nine different countries at the prestigious tournament. 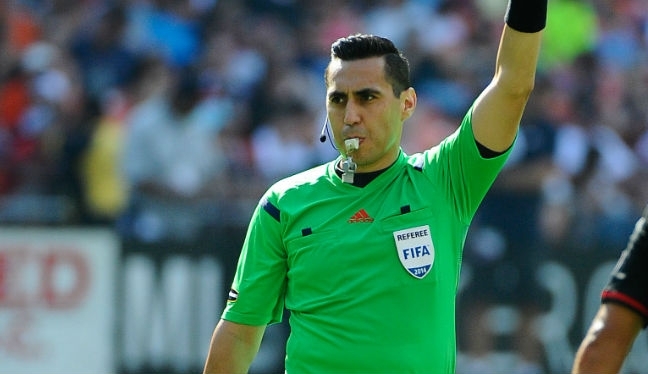 For 37-year-old Marrufo, this will be his fourth straight Gold Cup (2009, 2011 and 2013), while Canadian Gantar is in his third successive call-up (2011 and 2013) and World Cup referee Geiger his second, after his previous assignment two years ago. The five PRO ARs who will also be working the competition are Daniel Belleau, Eric Boria, Philippe Briere, Peter Manikowski and CJ Morgante, part of a pool of 18 selected. For 32-year-old Manikowski and 2012 MLS Cup official Belleau, this will be their inaugural appearance at a Gold Cup. The eight officials will join up with their international colleagues in Dallas in the first week of July for a five-day CONCACAF Elite Referee Course, where all participants will be required to pass the FIFA fitness test. The crews will then travel to their respective cities and venues ahead of the opening match at Toyota Stadium in Texas, on July 7. The tournament ends with the Final on July 26, at Philadelphia’s Lincoln Financial Field. The team of 36 officials will be supported by a group of six assessors, including PRO’s Match Official Development Manager Brian Hall and Evaluator Jozsef Michna. “The fact that there are eight match officials and two assessors representing PRO, U.S. Soccer and the Canadian Soccer Association in the region’s most prestigious event is a testament to the hard work and dedication of all involved with PRO,” Hall reflected to proreferees.com. “As someone who has participated in six previous Gold Cups as either a referee, assessor or administrator, I can tell you that the competition will be fierce. “This will challenge the refereeing skills of PRO’s representatives and, without a doubt, the eight officials are ready to excel during the tournament.